Mid-Century Delight in Olde Caulfeild! 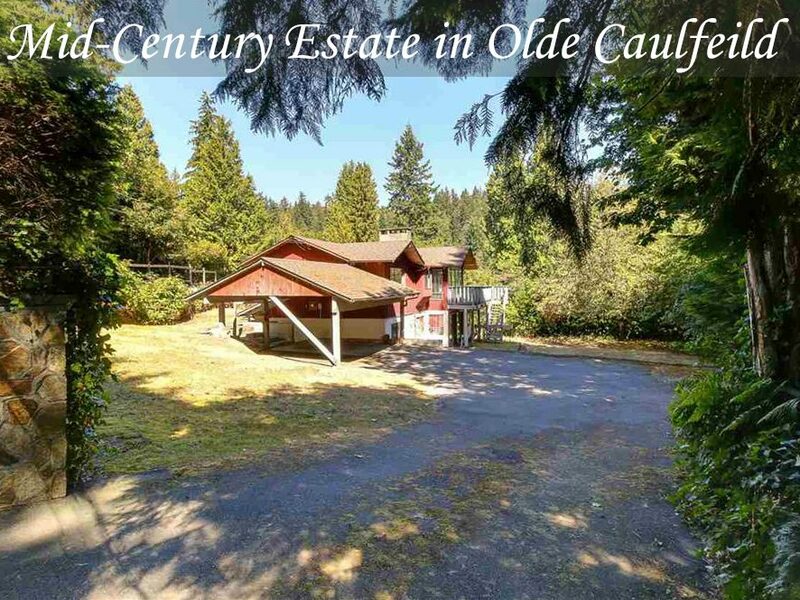 This is a fantastic opportunity to live in Olde Caulfeild. Across from Trails Park. The utmost privacy can be yours! Build your dream home on this south/west, over 17,000 sq ft, sun drenched lot. A 10 minute walk to Lighhouse Park and Caulfeild Cove, centrally located to West Bay, Collingwood and Mulgrave Private Schools. Shop or dine on Marine Drive. This West Coast Contemporary home features cedar vaulted ceilings,hardwood under carpets, wall to wall windows, a large master suite, 3 other bedrooms and a daylight basement. Priced below assessment!.